Affiliate marketing is scary. I get that. I had trouble figuring it out and continue to learn how to do a better job today. With that, I thought it'd make sense to bring in an expert in the field to chat about this whole business of making money through links. It's jam packed with info so hope you enjoy! 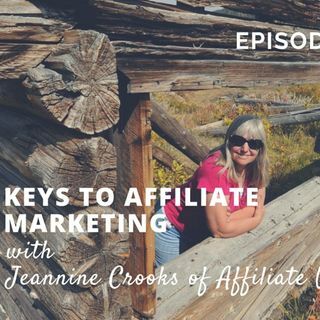 For the next hour, I sit down with Jeannine of Affiliate Window to chat about affiliate marketing. What makes this interview so interesting ... See More is that instead of hearing from someone who's any other guru that doesn't know anything about travel, Jeannine's actually been on both sides of the fence. She a travel journalist turned blogger turned affiliate marketing manager. In this episode, I drill deep into what affiliate marketing is all about and strategies that relate to travel bloggers.